There are many individuals who are seeing the power and the profitability of mining cryptocurrencies and this is definitely a very logical step that companies with enough financial power are going to find attractive. 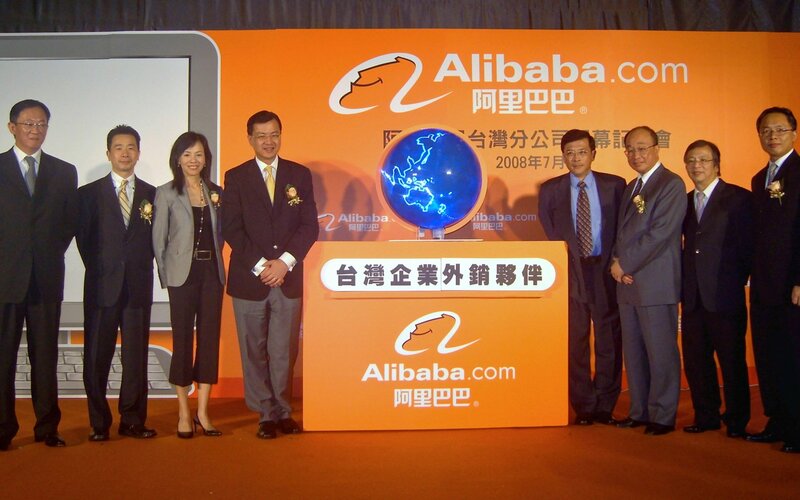 The e-commerce successful venture Alibaba has decided to launch a cryptocurrency mining platform. CnLedger, which is a local provider of cryptographic information based on Twitter, transmitted the report of the internet service Chinese qq.com, and it was indicating that the P2P platform of Alibaba had now launched after registration in October 2017. They are working in accordance with the material available cnLedger, Alibaba could incorporate the nodes in its platform later on. In a further development, the Chinese conglomerate partner Tencent which is a registered a trademark related to Blockchain for an entity to which reference is made in a variety of ways.. The moves are contrary to the current regulatory narrative from Beijing. Recently, the authorities have expressed their desire to slowly reduce the participation in the Bitcoin mining, while regulators also are moving to eradicate the last traces of the centralized exchange. The other issue that is taking place is that cryptocurrency markets continue to feel the pressure, in part, of the latest regulatory movements of China, with 15% losing Bitcoins and alternative currencies much more in the last 24 hours of operations. It is worth noting that one of the groups of crypto China’s largest mining, ViaBTC, recently closed, citing as a reason the closure to be able to control speculation and protect the interests of their large number of investors. Their report also mentions that in accordance with internal sources, the platform will form a commercial partnership with suppliers of electricity, but at the same time, he expressed his confidence in the blockchain technology as they have mentioned that they have devoted a lot of time and efforts to cryptocurrency as a whole. Recently, some reports surfaced that the Chinese government could block access to all platforms of cryptography, both domestic and international to its citizens in the highly censored internet in the country and this was the kind of news that proved unsettling. This would be a huge blow to the cryptocurrency movement in China. Now with so many serious regulatory concerns, the news of the launch of a business of crypto mining by one of the technological leaders in the country is a very positive sign. This is basically like a breath of fresh air that is going to give people the chance to see growth in the cryptocurrency economy. In the decentralized consensus, process that occurs on the p2p network with the objective of validating the transactions of the users and prevent double spending is included in the block chain, the nodes in the network are rewarded with blocks of digital currencies. You can think of this as a payment to the node in exchange for the service to create a block in the chain of consensus. The process of this compensation is an incentive for the nodes in the p2p network to behave in a truly honest manner. The nodes honesty extends the string of valid longer blocks, are assumed to be valid transactions, not double spending. The protection against double spending is purely consensual. Is the consensus that determines which transaction ends in the chain. Bitcoin rules mention that the node that creates a block can include a special transaction in that block. A transaction of coinbase. In addition, the node can also choose the recipient of this transaction, which, of course, will be your own. To create a proper block, the required node that proposes that block needs to get an arbitrary number. The objective is adjustable to allow the difficulty of the puzzle can be changed over time as new users enter the network or former users leave, modifying the amount total processing of the network. This allows the riddle to be difficult enough so that attacks on the block chain are costly, but the solutions of the puzzle can be even found at an almost fixed rate. The random selection of the node is allowed to create a new block is resolved by the mining. The key idea behind is to be able to bring the selection of an arbitrary node, instead, the selection of nodes in proportion of a resource that we hope that no one can monopolize. If that resource is using computing power, then it is a proof of the work. There is no way to know how things are going to work out for Alibaba when it comes to their mining habits. The good news is that a large number of people are going to find this to be extremely beneficial and the support for this mining platform is very likely to grow substantially in the coming years. This is the main reason why places like this are going to be setting an important example of the expansion in the world of cryptocurrency and this is going to be very positive. All we can do at this point is wait and see how things turn out, but they are looking quite good and the probability of a successful mining venture is huge, mainly due to the success that cryptocurrency is having all over the world. If you want to stay updated on the news about this mining platform, you are very likely to find a lot of great information from most of the top sites that promote cryptocurrency in general. They are always going to be posting information on Alibaba’s mining platform because they know that it has a lot of impact and value to the cryptocurrency world. The more support that any of those platforms get, the better the results are going to be for everyone who is supporting this kind of currency. This is why so many eyes are going to be looking into the development of these types of platforms.